Current Students Click HERE to learn about Programs and to APPLY NOW! Courses taken abroad are the Monmouth equivalent and approved for your audit. Earned grades and course titles are posted to your Monmouth University transcript, but will not be calculated in the Monmouth University cumulative GPA. Your Monmouth tuition and fees travel with you! Overseas accommodation fees are separate but are similar to on-campus as well. Some programs charge a board fee and others provide students with kitchens to prepare their own meals. Monmouth charges a $250 study abroad fee for semester programs and $125 for summer. All financial aid, including your Monmouth academic grant or scholarship, can be applied toward your tuition abroad. The only exception is athletic scholarships and tuition remission. 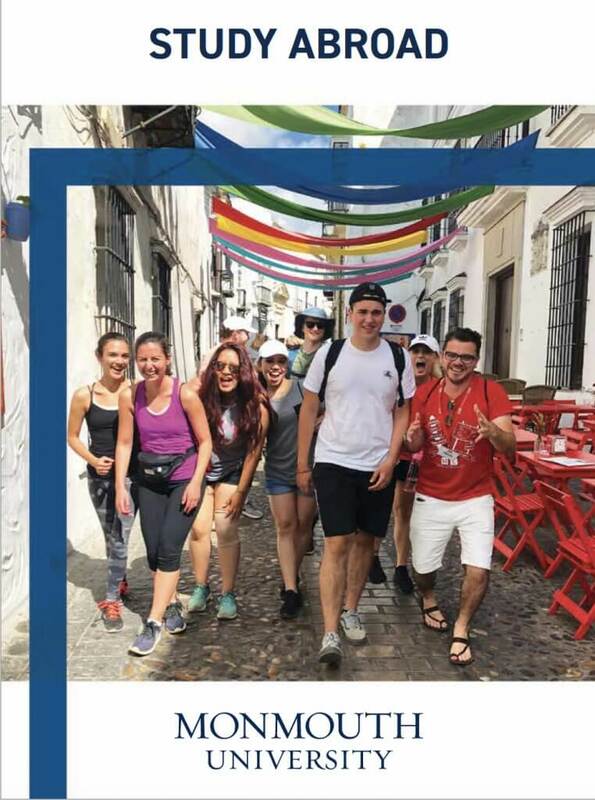 For most students, the cost of study abroad – with the exception of airfare and personal expenses – can be the same as a semester on campus. We offer a comprehensive Pre-Departure Orientation for you and your families to ensure you all are prepared for your summer or semester abroad. The Global Education Office is your conduit to the Monmouth University campus while you are abroad. We maintain strong links with our overseas partners to ensure your safety, welfare, and quality education.